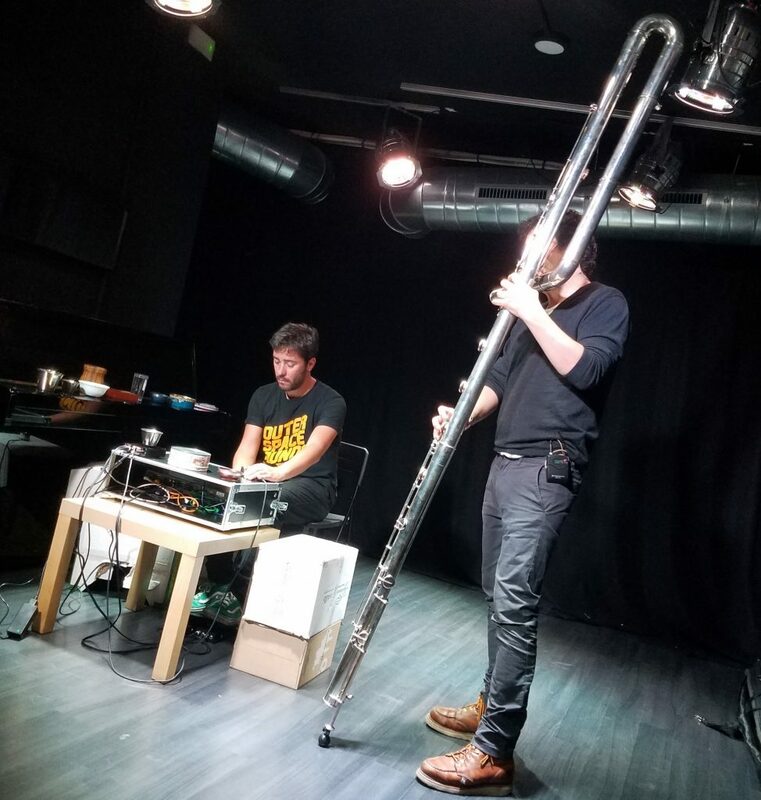 Ángel Faraldo, electronics & Julián Elvira, subcontrabass flute, at Sinestesia, Barcelona, 1st of May, 2018, within the Girafa Sessions, curated by Joao Braz & Sebastián Vidal. 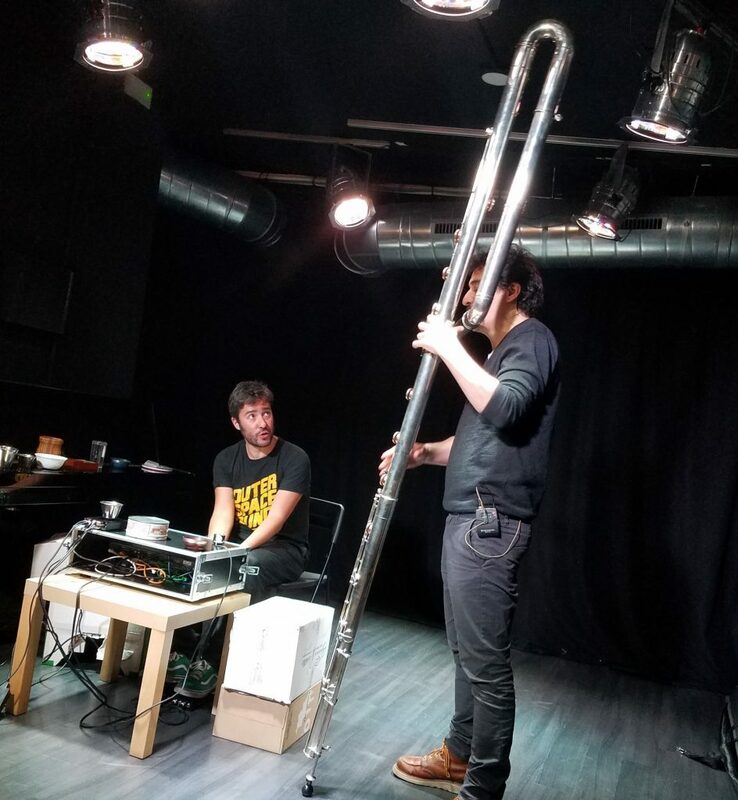 Hear de sound of this unusual instrument in an hypnotic session. This is the sort of music you better are there to listen to it from live, because the range of sounds and frequencies are difficult to capture with a smart phone. I enjoyed it indeed. Very interesting! ← Presentació dels llibres “Memòria de la inquietud” de Carles Camps Mundó, i “Shakespeare en la veu dels traductors catalans” de Josep Maria Fulquet a càrrec de Sam Abrams, poeta i assagista. 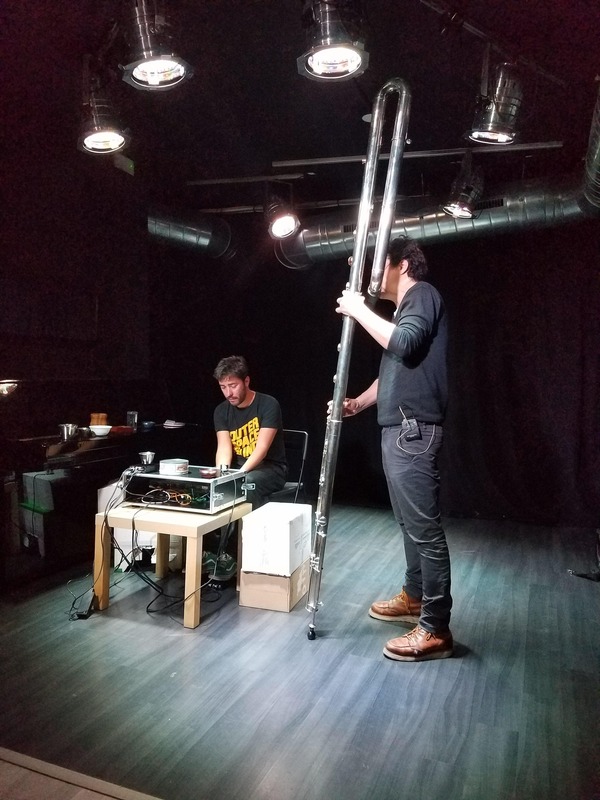 3-5-2018, a la llibreria LAIE de Barcelona.